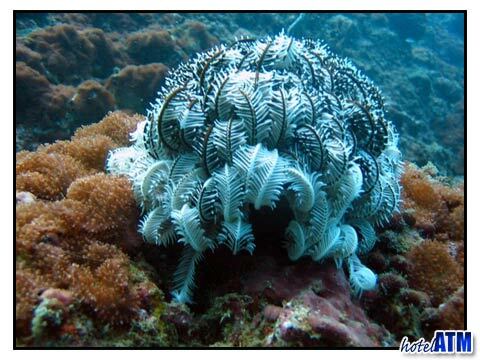 This dive site is a completely submerged circular coral reef about 2km east of Phi Phi Ley. It's only visited by Phi Phi Dive companies and Livaboards so it's also a popular site since there are none of Phukets many dive boats here. The reef starts just 6m below the surface and goes down to it's deepest point at 24m. Famous for its large shoals of yellowtail barracuda, twin-spotted sea perch, fusiliers and blue-lined snapper and scorpionfish with a 99% chance to see Leopard Sharks. The Reef itself consists of soft and hard corals, some barrel sponges, and lots of sea fans and anemones. 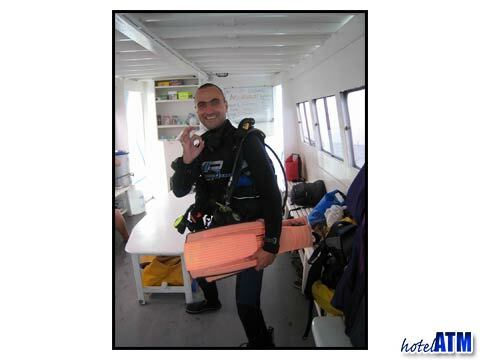 It is an easy dive site with mild currents although visibility is often only average. Garan Heng is just a short distace from the main dive pier in Tonsai Bay Phi Phi Don Village and the 12-15 minute ride takes you out past Long beach and the famous Shark Point where you can snorkel with black tip reef shark.